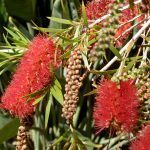 Bottlebrush plants (Callistemon spp.) 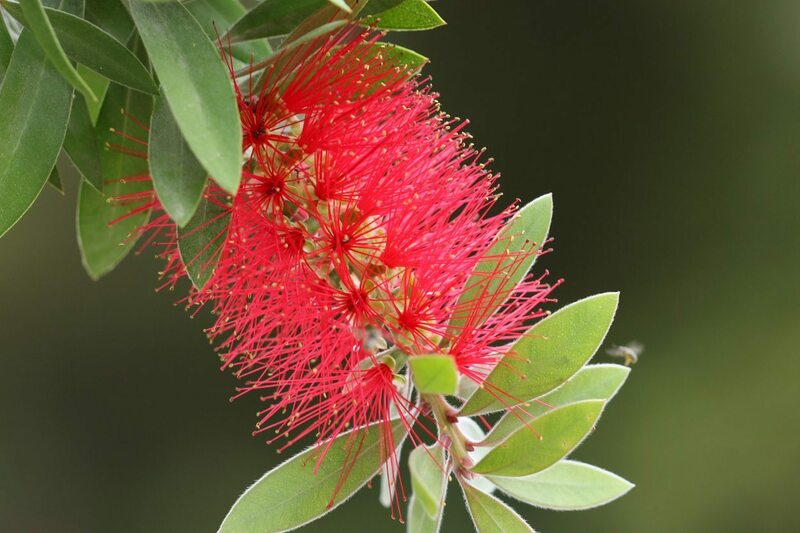 get their name from the spikes of flowers that bloom at the ends of the stems, bearing a strong resemblance to a bottle brush. 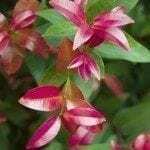 Grow them as shrubs or small trees that grow up to 15 feet. Most bottlebrush varieties bloom over a long summer season in shades of red or crimson. One exception is C. sieberi, which has light yellow flower spikes. Bottlebrush plants need a very mild climate. If you live in an area cooler than USDA plant hardiness zones 8b through 11, grow bottlebrush in pots that you can move to a protected area for winter. Use a rich, peaty potting soil with a few handfuls of sand added to improve the drainage. If pruned hard every year, the plants will grow in pots as small as 6 to 8 inches in diameter. If you plan to let the shrub grow, you’ll need a large tub. Outdoors, plant bottlebrush shrubs in a sunny location. The plants aren’t picky about the soil type as long as it is well drained. If the soil is very poor, enrich with compost at planting time. Once established, bottlebrush plants tolerate drought and moderate salt spray. 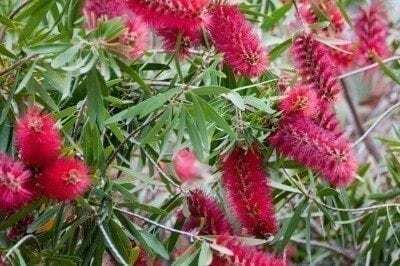 Callistemon bottlebrush care consists of regular watering while the tree is young and annual fertilization until it matures. Water young trees weekly in the absence of rain, applying the water slowly to saturate the soil as deeply as possible. A layer of mulch over the root zone will slow the evaporation of water and help prevent weeds. Use a 2-inch layer of shredded hardwood or bark or a 3- to 4-inch layer of light mulch such as pine straw, hay or shredded leaves. Fertilize bottlebrush shrubs for the first time in their second spring. A 2-inch layer of compost over the root zone makes an excellent fertilizer for bottlebrush. Pull back the mulch before spreading the compost. If you prefer to use a chemical fertilizer, follow the instructions on the label. Bottlebrush plant pruning is minimal. 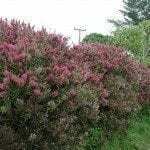 You can grow it as a shrub with several trunks or prune it back to a single trunk to grow it as a small tree. If you grow it as a tree, the drooping lower branches may need cutting back to allow for pedestrian traffic and lawn maintenance. The plant produces suckers that should be removed as soon as possible.